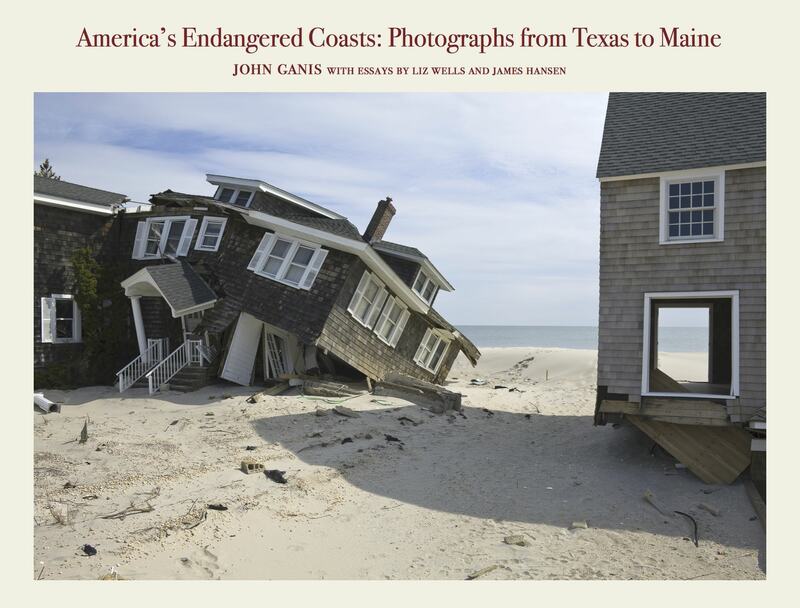 America’s Endangered Coasts: Photographs from Texas to Maineis a pioneering and thought-provoking photographic survey of coastal areas of the Atlantic and Gulf Coasts of the United States that are threatened by a rising sea. Using a topographic aesthetic that combines straightforward, highly detailed color photographs with GPS locations and elevations above sea level for each site, this book photographically responds to low-lying areas that are frequently over-developed and vulnerable to high tides and storms such as Hurricanes Katrina, Irene, and Sandy. This book contains 170 color photographs and two essays, one by Dr. James Hansen based on his scientific understandings of climate change and ways to address it, and one by Liz Wells, a prominent British writer on photography who offers her perspective on the work. Current scientific projections conclusively show that the future of civilization along the world’s coasts is at stake due to the climate-change crisis. According to the 2012 NOAA National Climate Assessment the Earth’s sea levels will likely rise by 4.1 to 6.6 feet within a century. This amount of sea-rise, compounded by hurricanes and storm surges, will threaten and make unsustainable large portions of the coastal areas of the United States, from Texas to Florida and along the Atlantic seaboard. Dr. James Hansen has been a pioneering researcher of the likely consequences of climate change and his original essay included in the book sheds light on both his recent findings that a global temperature increase of two degrees Celsius will have catastrophic consequences leading to extreme amounts of sea rise and his proposed solution to the crisis. Based on the extremely serious nature of the problems addressed in America’s Endangered Coastsand the significance of the photographs contained within it, this book promises to make an important contribution to the public’s awareness of climate change and its impact on everyday life. It serves as both a warning of things to come and a photographic document of lasting historical value. In the future the sites documented in the book may be revisited using the GPS coordinates and the changes due to sea rise may be gauged with a high degree of accuracy. It is the first book of its kind to offer such comprehensive geographic coverage of representative areas along the Atlantic and Gulf Coasts that are threatened now and in the future by a rising sea. 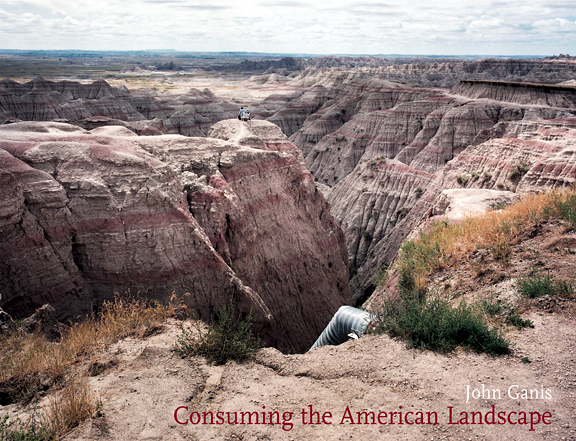 A sustained meditation on the American landscape that challenges the public to consider the impact of current land use practices on the environment. Books available thru Amazon or directly from John Ganis. Please contact John for more information.